Cocoons are protective enclosures created by the pupae of various insects, which include caterpillars, moths silkworms and ants. 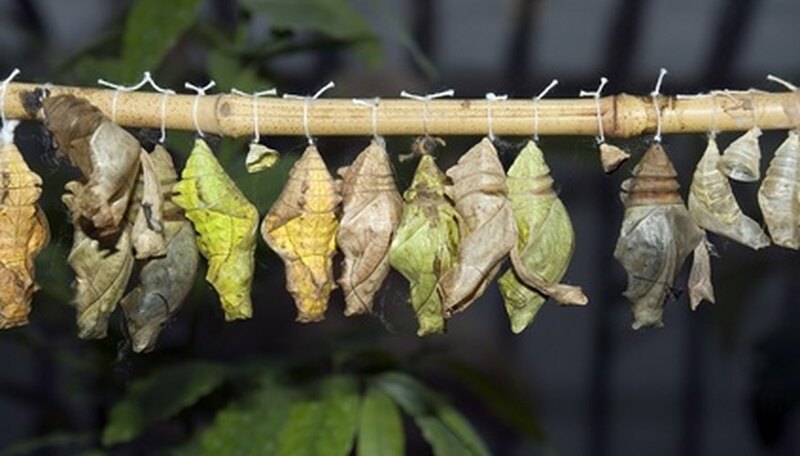 In the case of caterpillars, the cocoon period is the stage in its life cycles when it transforms into a butterfly. Other species, such as the Australian desert frog, use cocoons for self-preservation in harsh temperatures, while the mud dauber flying insect uses cocoons as nesting places for its offspring. Mud cocoons are made by mud dauber wasps, a slender black insect with yellows spots. These cocoons are a series of cells in pot-shaped nests created by a mother mud dauber wasp, which collects soft clay to make the nest. The mother transports the clay by carrying it in her mouth and constructs the nest by rolling the mud with her mandibles. Since the nest is composed of mud, the mother makes sure to protect it from rain. As a result, these nests are seen in sheltered locations, including caves, sheds or house awnings. After completion of the nest, the mother mud dauber finds spiders, paralyzes them with her stinger and carries them to the cells in the nest. The mother mud dauber lays eggs on the spider remains and the cell serves as a cocoon for the eggs. Once the eggs hatch, the mud dauber larvae feed on the spiders and rest in the cocoon until they are ready to leave. The Australian desert frog makes a cocoon to stay hydrated during the hot, dry summers in the Australian Outback. The desert frog goes through a underground hibernation period, called aestivation, in the summer months. This process begins with the frog burrowing itself into the ground to escape the desert heat. However, water is inaccessible at this underground position, so the frog tucks its limbs close to its body and sheds skin cells to cover its body. 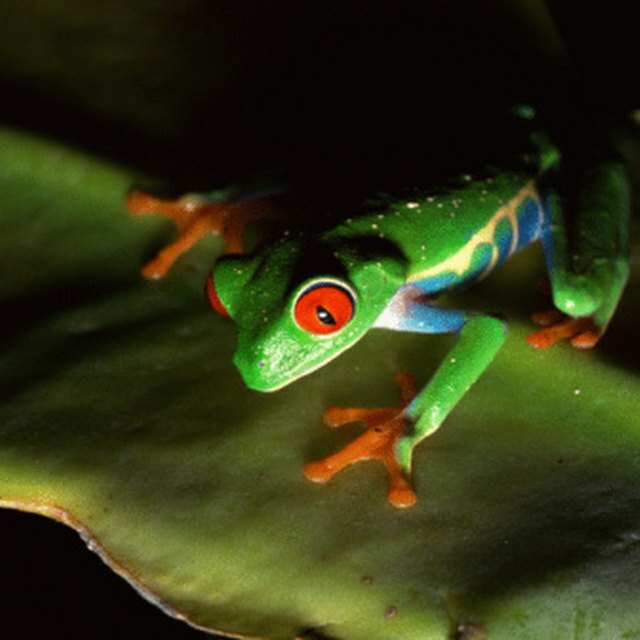 The skin cells form a protective sheet around the frog's body. After making several of these sheets, the desert frog is enveloped in its cocoon. The only part of the frog's body that is not covered by the sheet is its nostrils, which allow it to breathe during aestivation. The frog remains this way for three months, until temperatures above the surface decrease. Ant cocoons are specific to certain species of ant, including the Lasius niger. These ants form a cocoon in the third stage of their life cycle, unlike other ant species which are pupae in this stage. The ant larvae of cocoon-weaving species build their cocoons by lying against a flat surface and burying themselves into the ground. Adult ants protect the ant cocoons from parasitic insects and, in return, the cocooned ants excrete a sugary liquid that adult ants use as a source of nourishment. The cocoon cycle for ants lasts approximately two weeks to a month. After the cocoon period is over, they emerge from their cocoons as adult ants. What Are the Stages of Cytokinesis? Davis, Skip. "Types of Cocoons." Sciencing, https://sciencing.com/types-cocoons-7553400.html. 25 April 2017.